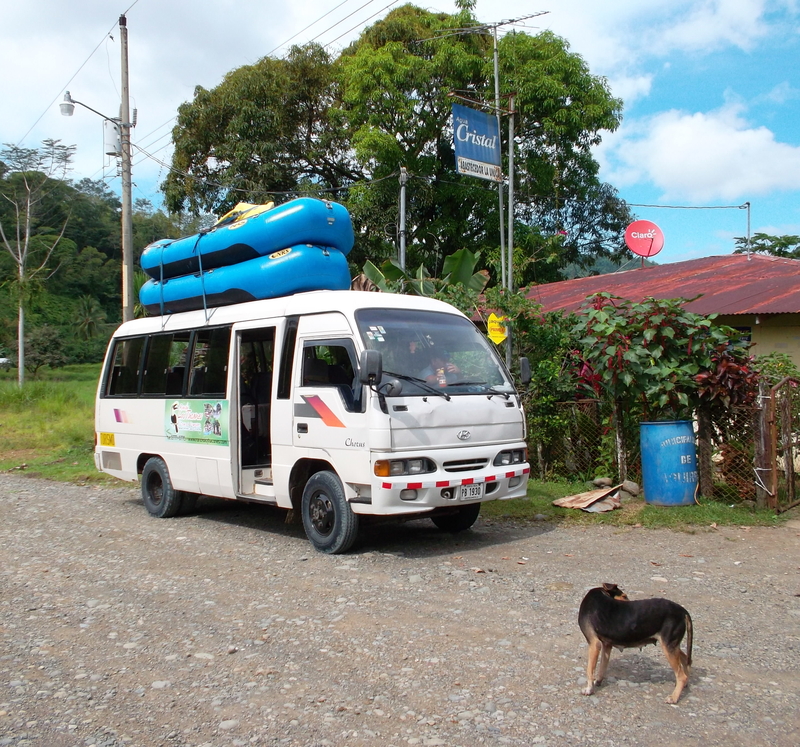 As soon as we got out of the overloaded white mini-bus with the two rubber rafts on top, we were met by our guide. He welcomed us to the river, introduced himself as Marco, started handing us helmets and paddles, and asked us to gather over by a tree. We all complied. And in that very short exchange, he had assumed leadership of our group in a way that was friendly, confidence building, but also authoritative. Read on if you are interested in becoming a more effective leader and want to learn about Marco’s subtle technique to rapidly take charge of a group. My son and I were at the Savage River for a white water rafting trip in Costa Rica, but the techniques Marco used have been used by leaders everywhere for years to quickly and firmly establish themselves in a position of authority. And as a leader, you can do the same thing. So let’s back up the video, and run it again in slow motion. We’ll break down what was happening, and see how you can do what Marco did to assume his position of leadership. The minute we stepped out of the mini bus and needed a leader, Marco appeared and was ready for us. We weren’t forced to wait around, mingle, establish our own little groups, or speculate about what was happening. We were a group that needed a leader, and he confidently stepped forward. When it is time to lead, you have to be bold enough to stake your claim. Treat it as an established fact. Whatever attitude you adopt in your mind, the rest of your body will follow. If you wait, the group may start to manufacture its own leaders and that might not include you – the sooner you act, the less chance you will have to work against this dynamic. His first words were ones of welcome and concern for our well-being. It was, “Welcome to the river”, not, “I’m in charge here.” In doing this, he is establishing a positive atmosphere that is group-focused and telegraphed his implied desire for this to be a positive experience for us. Only after the welcome came the clear declaration that he was the leader. In the same way, by focusing first on the group you make it easier for its members to accept you as their leader. Almost as soon as we knew his name, he was giving us orders and having us comply. Did you catch it? They didn’t sound like orders, but by his actions of giving us the gear and asking us to gather at the tree, he was giving us directions, and we were following them. This is the critical step, and here’s why. It’s one thing to hear someone tell you that they are in charge, but it becomes something entirely different when you find yourself doing what they tell you to do – it becomes real. You are showing with your physical actions that you will follow their leadership. When you are taking control, you want to get to this reality as soon as possible, and one of the best ways to accomplish this is to give them something. – Having given us the gear, we felt the need to reciprocate by following his instructions. He was making it easy to follow his lead, and that is the key. Make it a no-brainer for the group to follow your first instructions. 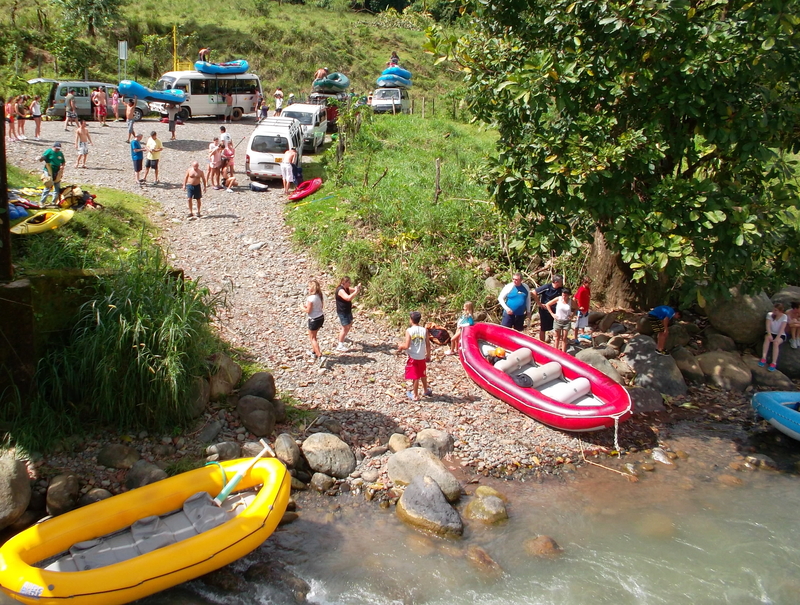 But you will not always find yourself as a rafting guide handing out helmets on a river in Costa Rica. How can you apply this in your world? Here are six ways you can use the same idea of establishing a sense of mutual reciprocity though giving, combined with a physical action that reinforces your claim to the leadership position. Give them information about yourself, then have them do the same. Introduce yourself, then ask them to introduce themselves. It’s commonly done and they are happy to comply, but now they are doing it under your direction. By initiating this process, you are leading them to do something that already makes sense to do, but it’s at your direction. It’s even better if you make it interesting – have people mention their favorite food or sport as well as the usual stuff. Give them a signup sheet and ask them fill it out. This is standard practice for lots of groups, too, so it should be a no-brainer. You can have a blank sheet prepared with columns ahead of time and hand it to someone to start. Again, they are doing it at your direction, and you will end up with a good contact list, which will give you some power since you will have that information. But you are also getting them to act, and that’s the key. Don’t forget the pen. Give them a better place to meet and have them gather there. Maybe you are part of a larger group and need to escape the noise so you can focus. Say clearly to everyone, “I have the conference room reserved for us to use so we can concentrate, let’s meet in there” and then start walking. They will follow, and you are in charge. Your actions are for the benefit of the group and it makes sense to follow you, so they do. There’s nothing like physically providing something to others – it shows you cared enough about them to take the time and prepare. It doesn’t need to be much, either. It could be a pencil, or a stick of gum, too! Give them a better seating arrangement and have them move. “I want to make sure everyone can see what’s going on, so let’s move our chairs into a circle.” Again, the action is for the benefit of the group, and you are getting them to physically act under your direction. When they comply, they are voting for you as leader. Give them a chance to speak, and ask them to respond. Ask a simple question that you know they can answer in a way that is helpful to the group. “Is anyone here familiar with X?” where X is something relevant. They get a chance to show off their knowledge and therefore gain some authority on the topic, but you are controlling the event. Be sure to keep things short and let several people be heard. You probably recognize a lot of these methods and have been a willing participant in some, but now you can see that there was a deeper dynamic happening – you were being conditioned to follow the leader. There is a lot you can do with this technique, and you can make it even more powerful if you combine several together – move to a new place, get a signup sheet going around, and have people introduce themselves – you are quickly establishing a pattern of you leading and them following. As the momentum builds, and trust within the group grows, you can move to more challenging tasks, but if you start small and make it easy to follow you by giving them something, you will be well on your way to success as a leader. There’s more about the importance of building trust in this video. And if you want more ideas on useful steps to take when taking charge, you can check out the video series on Taking Charge. You can give your service. When I was at the Middle East Region Powered Flight Academy this summer, I always volunteered for every thing I could. Pretty soon, I had a whole team of people who would do what I wanted them to do because they respected that I didn’t think any given task was below me. Even the people who weren’t rushing to help me respected me. A second way of giving so that others will follow is giving your time. If you take the time to stop what you are doing, sit down, and look the other person in the eye when they come to you for help or advice, they will probably look to you again for help the next time. Well said. Of all the things we have, time is the most limited and precious – you can’t get any more of it than you already have; where you choose to spend it says a lot about you. If you use it to become a better leader by helping others, people will see the investment you are making in them and are more likely to reciprocate. What other ways can you think of giving so that others will want to follow?